In this week's Friday Free Plug-in, we are featuring Ambeo Orbit From Sennheiser. 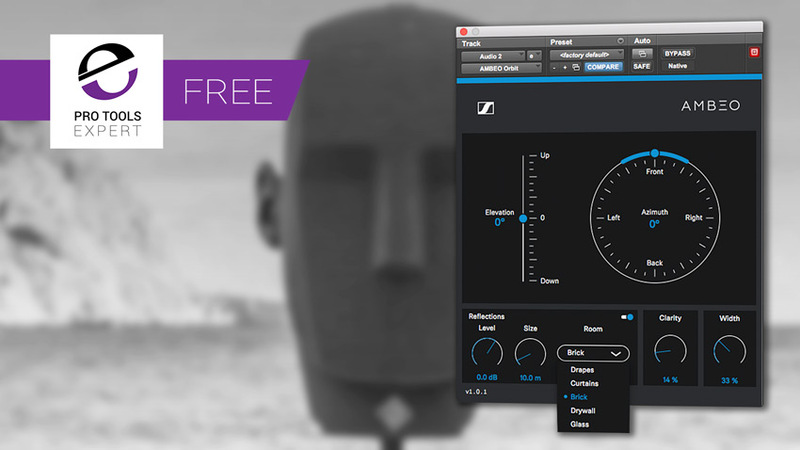 The AMBEO Orbit is a Sennheiser’s free binaural panner plugin, designed to facilitate mixing immersive binaural content. It is designed to facilitate mixing conventional mono or stereo audio in with binaural audio captured using binaural techniques such as the Neumann KU100. Orbit re-creates the spatial cues which place sources in binaural space. While a proper dummy head mic captures binaural recordings which are amazingly immersive when replayed over headphones (top tip - binaural works much better using open back headphones rather than closed back) this technique can be captured using the Sennheiser AMBEO headset (keep your head still or you’ll have an automation nightmare trying to match a moving head!) or even building a dummy head mic using a pair of omnis the right distance apart with something in between them. Trying this mic on dry mono sources Orbit works well introducing space and width to anything and is a useful alternative to reverb for pushing elements back in a mix - and best of all its free! Go to the Sennheiser website and download the appropriate installer. Orbit is a free plug-in for Mac and Windows and no iLok is required to run it.